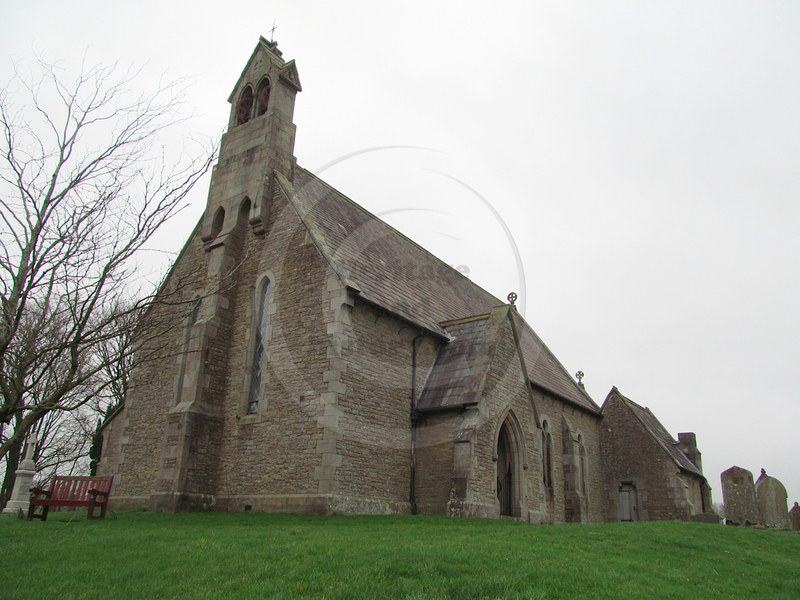 Farlam church, dedicated to St. Thomas à Becket, is a plain stone building, in the Early English style, near the hamlet of Kirkhouse. Erected near the site of the former medieval church in 1860, by Salvin at a cost of about £2,000. The grade II listed building is constructed from dressed calciferous sandstone on a chamfered plinth with ashlar quoins and a graduated green slate roof with coped gables. It consists of 4 bay nave which has north and south gabled porches with pointed arches and 2 light lancet windows, the 2 bay chancel has a tripartite east window and pointed lancets. The shouldering lintel to the vestry dates to 1860, a north 4 bay isle has round columns and pouted arches. There is also an aisle, south vestry and west double bellcote. Inside the roof is open timbered. Furnishings and stained glass are mid 19th century. A church is recorded in Farlam as early as the year 1169, when it was included in the munificent grant of Robert de Vallibus to the Prior of Lanercost. At the dissolution this church, along with the other possessions of the priory, was granted to Sir Thomas Dacre, and is now in the patronage and impropriation of the Earl of Carlisle. The Hon. Charles Howard, of Naworth Castle. presented the ground for the site, and also contributed £500 towards the construction. A gift of £200 was given by Mrs. Maria Thompson for a new organ, the pictorial east window as a memorial of her late husband, James Thompson, Esq. Records from “Church bells in Brampton Deanery” indicate that Farlam church had two bells in 1552 but only 1 was recorded in 1749. John Warner and sons, london, 1858. The other bell is 18 inches diameter and weighs I cwt. 2qrs, tuned to the note of E. It is from the same foundry but dated 1859 and with the royal arms. Both bells were given by the late Mr, John Ramshay of Narworth Barns, steward to Earl Carlisle, when the church was rebuilt in 1860. Mr Ramshay’s father was the donor of nos. 2,3,4 and 5 of the Brampton ring. It is noted in records that Messers warner of the Crescent Foundry, Cripplegate, London could find no record to indicate the inscription on the old bell or what became of it. 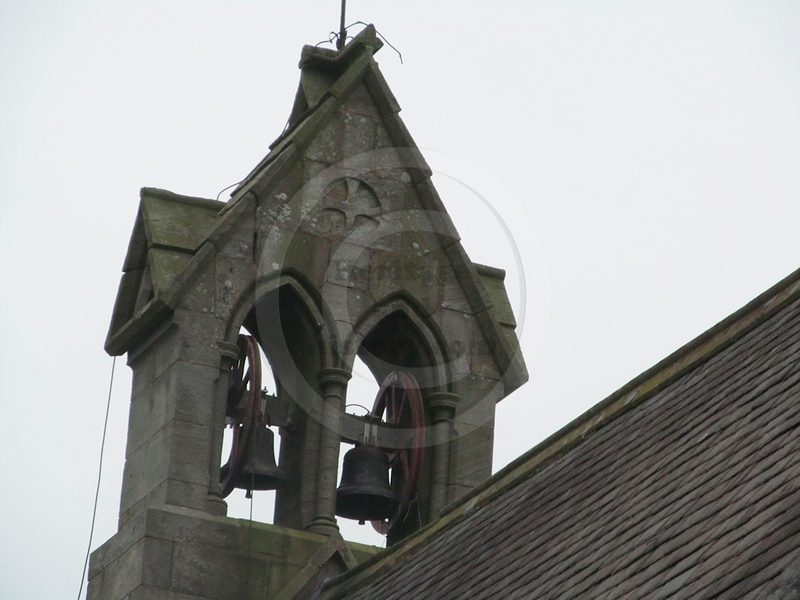 These bell ropes look rather dishevelled and it is unlikely that these bells can currently be rung.